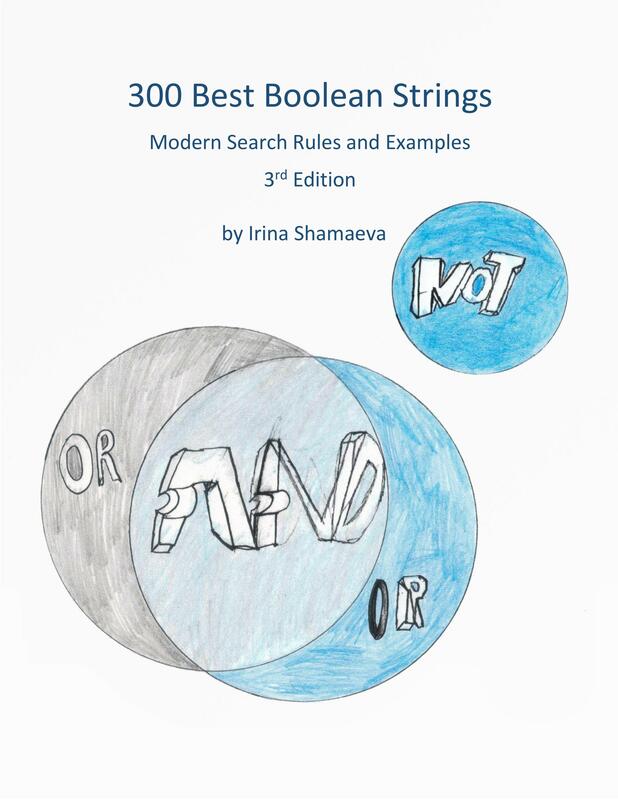 The “300 Best Boolean Strings, 3rd Edition” ebook can be ordered separately from the class via BooleanBook.com. Scroll down for a preview of the contents. 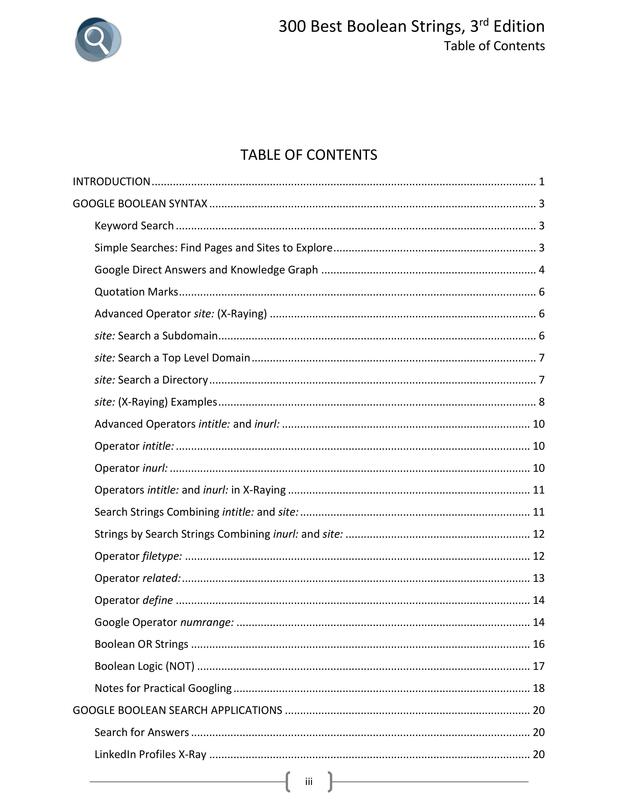 The class follows the ebook “300 Best Boolean Strings, 3rd Edition”. 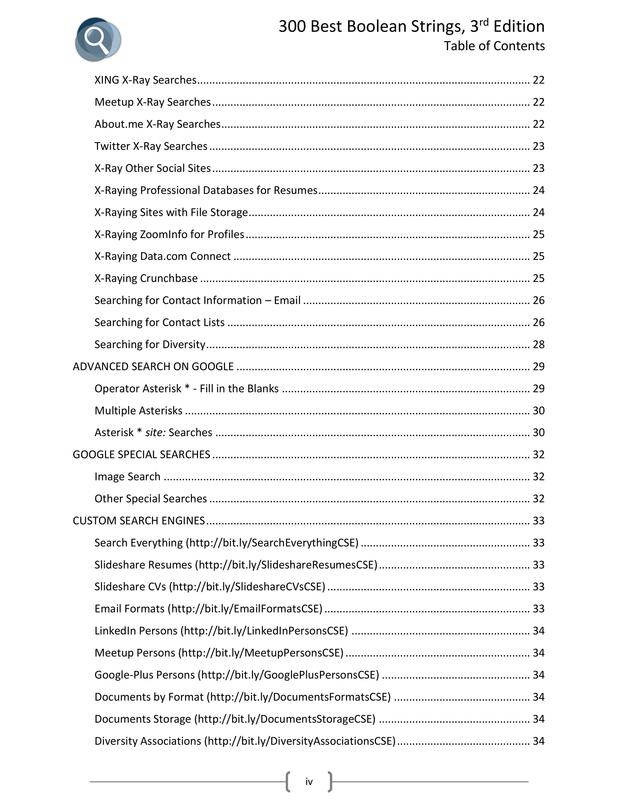 It provides an up-to-date review of Boolean search fundamentals as well as a wealth of examples of applying advanced search techniques to finding professionals online. 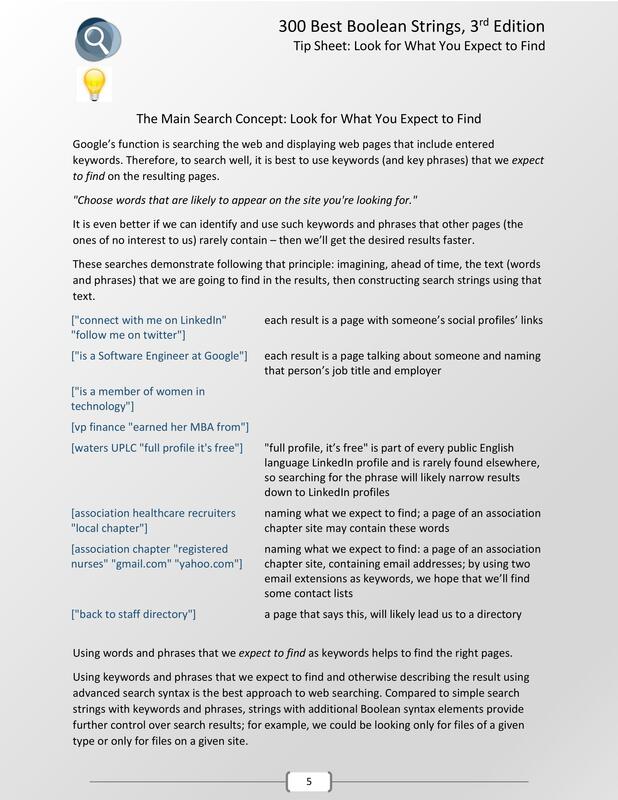 While successfully engaging your prospects is critical to overall recruiting success, we cannot overstate the importance of adequately executed search as part of the recruiting process. Sourcers and Recruiters (not just machines!) 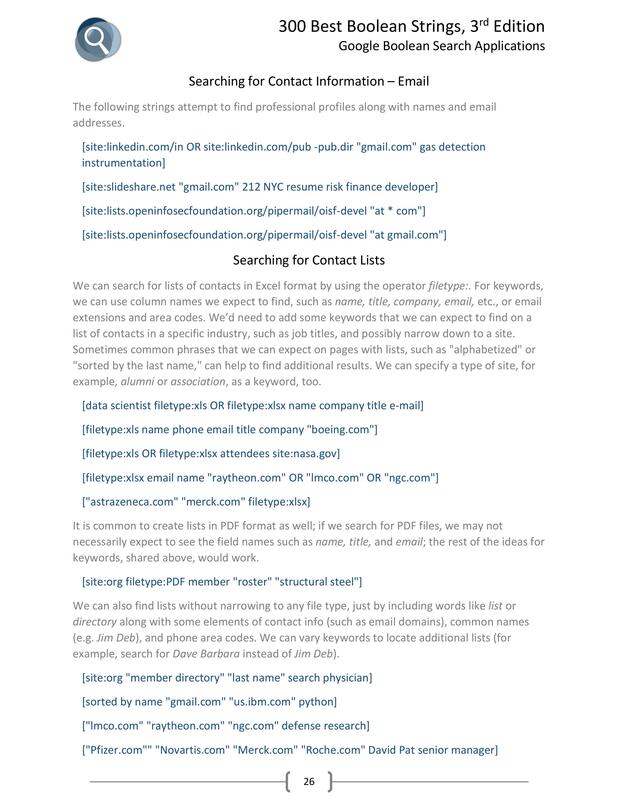 are essential in searching for professionals; without expert users, software tools are useless. Therefore, to keep your productivity up, you must track the latest software changes and features, to use the tools masterfully. Our examples cover a broad range of industries and locations. 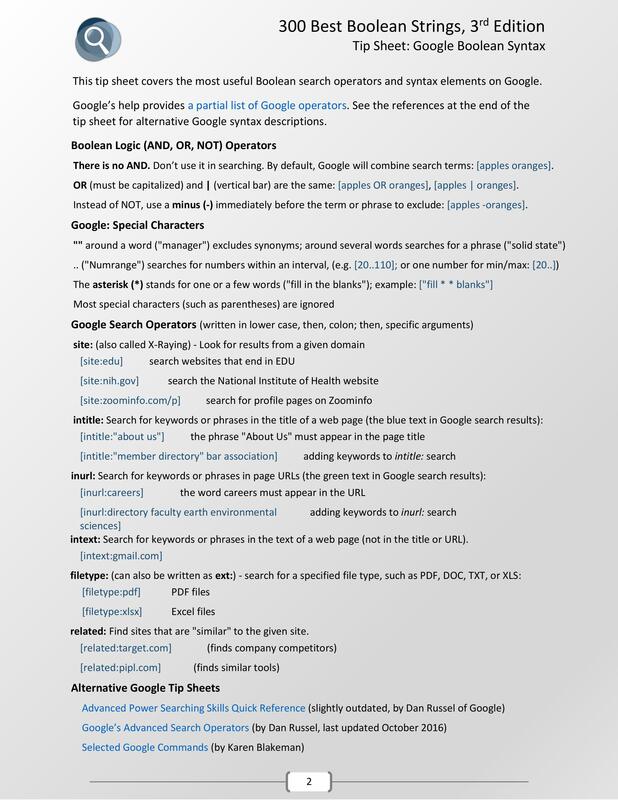 What You Will Learn: Correct Boolean syntax and search parameters; multiple templates for searching, applicable to your industry and geography; the right “way of thinking” for constructing your searches. 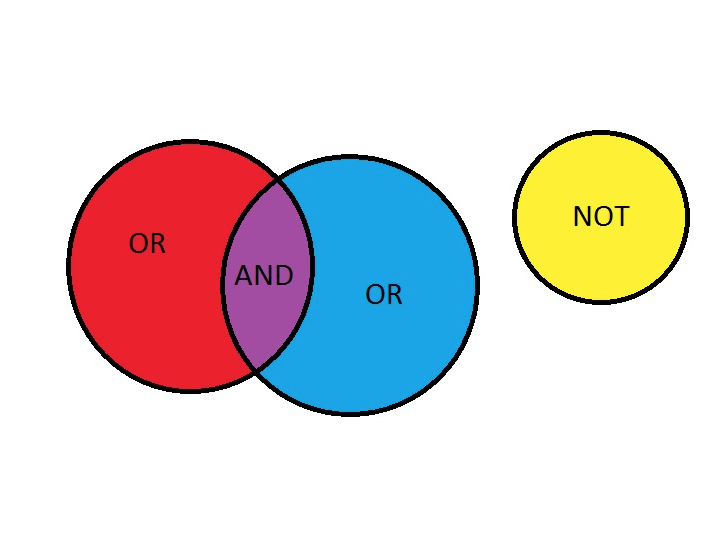 Who Will Benefit: Recruiters, Sourcers, and research professionals of all types who would like to catch up with modern Boolean search syntax. 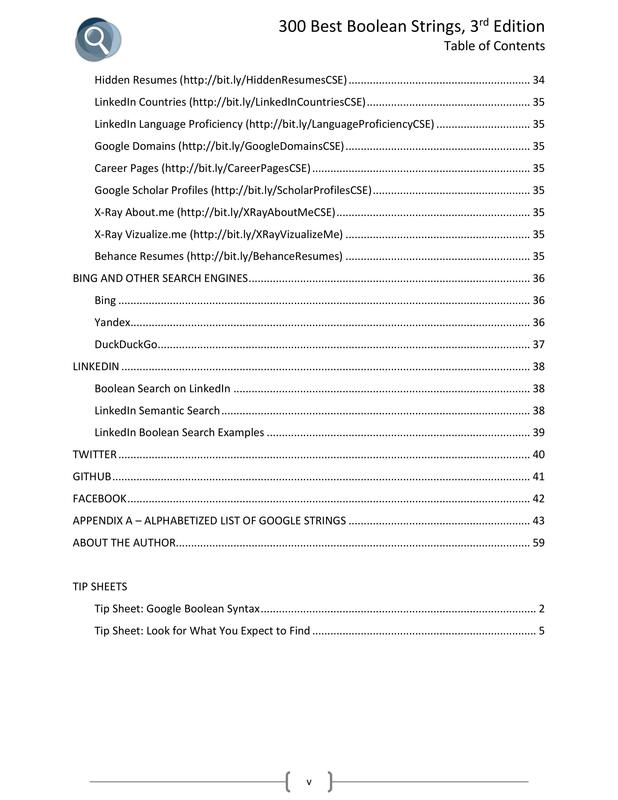 Everyone who wants to discover more professional information on the web by using additional search patterns. 30 Days Support: This class includes our 30-day online support guarantee for everyone who signs up. We expect you to practice the material and ask questions. Purchase the Ebook Bundle and Save $10: The 300 Best Boolean Strings, 3rd Edition ebook normally costs $59. Buy the Lecture and ebook together and save.